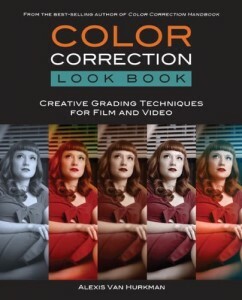 I’m setting up a new computer for color correction, but I don’t know which monitor to buy for grading, and your book recommends broadcast displays that are out of my price range. Sometimes folks are asking for recommendations of affordable color-critical monitors because they’re trying to set up a budget suite. Other times the request is for a learning workstation that’s good for getting started. HP DreamColor Monitor—In my opinion, the most economical monitor that can do Rec. 709 accurately is currently the HP DreamColor monitor, connected via HD-SDI (out of whatever video output interface you’re using) using Blackmagic’s HDLink DisplayPort adapter (HD-SDI out of your computer, DisplayPort into the DreamColor). The panel is 10-bit, and if you’ve set it up correctly it’s color-critical with blacks that are decently deep enough (at least for an LCD-based display). You will want to get the optional calibration probe to keep it on the straight and narrow. I know at least one professional colorist who’s using this as the monitor for his home system who quite likes it. Link. Flanders Scientific LM-2461W—For a couple thousand more, you can also get into a Flanders Scientific broadcast monitor, for even higher quality monitoring. It’s got HD-SDI built in, so no signal conversion is necessary, and these monitors come pre-calibrated from the factory with impeccable settings; it’s the favored monitor of several of my grading colleagues, and I’ve been impressed overall. It also has more settings that make it appropriate for a professional broadcast suite, however it’s still quite affordable. Link. Added 3/20/11—Just got wind that this model is about to be upgraded to the LM-2461W, with even better calibration from the factory, built-in 3G HD-SDI, remote control software, and other cool enhancements. Check out Walter Biscardi’s interview. Panasonic Viera TC-P50VT25 (since superseded by the TC-P55VT30 VIERA)—The other possibility is to use a THX-rated Panasonic Plasma display. In fact, externally-calibrated Panasonic plasmas have been appearing in many professional grading suites. While there are many Panasonic models available (and the comparable models are updated every year), the previous year’s model was a recommendation from my colleague Robbie Carman. Forget about this monitor being 3D capable, what’s important is that it has both a THX mode and ISFccc rating for calibration. This just means all the controls are there for accurate calibration to the Rec. 709 HD standard. If you’re on a budget, you can have it calibrated using the services of a qualified THX video calibrator, running a signal to it via an HD-SDI to HDMI convertor (such as the BlackMagic HDlink Pro or the AJA HI5). Make sure the calibrator has references, though, because an unqualified calibrator will simply make a hash of things. You want measured Rec 709, not “uncle joe’s home theater settings.” The more professional solution to calibrating your plasma would be to buy a probe and calibration software to generate a 3D LUT of your own to load into either an HDLink or Cine-Tal Davio (either of which can apply a LUT transform to the video signal for calibration), but that will cost more. Link to the TV. Link to my article about 3D LUT calibration. So these are the most budget-friendly monitoring options that I can wholeheartedly recommend. Please keep in mind that these aren’t all the options that are available, technology marches on and new monitors appear every year, so I encourage you to continue doing your own research. Just remember, you get what you pay for. When it comes to color-critical monitoring for color correction and grading for broadcast or cinema, if you can’t accurately see the signal you’re adjusting, you can’t do the job. Do yourself a favor and get a good monitor. Another Added Note—I’m amazed that folks are still referencing this article, as it’s going on two years old now, which is ancient in the fast-moving world of color critical displays. Check the comments for some interesting updates and back and forth, and check my more recent article about What Display Should I Buy which, while not making more specific recommendations, suggests how you should go about evaluating what type of display is best for your needs. Great article! What is your experience/feeling/intuition about using Apple Color with a Matrox MXO & a DreamColor? Does that give you a true image? I’ve read both pro- and con- opinions, and I was curious what you think. Honestly HIllary, I have no experience with the Matrox MXO, so I can’t really offer an opinion. If the MXO offers accurate HD-SDI output, then the MXO to HDLink to DreamColor should theoretically be a fine combination, but that’s just me guessing. Interoperability in the real world is sometimes now what we’d want it to be, hopefully you can find someone who’s already tried this out. This article was useful for me now. Thx a lot. 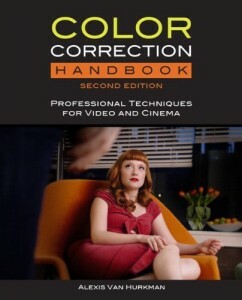 There r too many monitor for color correction and its also very expensive for a beginner. As u a senior colorist, is there any suggestion for a beginner. What control surface or equipment for a beginner must to have. As far as control surfaces go, I think the best bang for the buck is the Tangent Wave. I’ve heard some complain about the plastic construction, but after using mine for several client sessions (spots, shorts, and a feature), this never bothered me. I like how many knobs it provides (9), the dynamic labeling of all controls, and how many applications it’s compatible with. My two cents. However, control surfaces are a really idiosyncratic thing, and everyone has their own favorite. You really have to demo one for yourself to know if you’re going to like it or not. I’d never recommend buying one blind. I am looking to purchase an HP Dreamcolor for home use, but have just learned that the monitor is scheduled to be discontinued by the end of the year. Apparently hp still has a contract with DreamWorks, which leads to the assumption that there will be a new version of the Dreamcolor possibly by the end of this year. Do you happen to have any insider information on this? As eager as I am to purchase the dreamcolor now, I’d rather hold off if there is going to be a better model so soon. Any insight/advice is appreciated. Alas, I have no insider information to provide, although that monitor has been out for quite some time and one would hope they continue to evolve the line. Wish I knew more. Good luck! Hi Alexis, I´m writing you from Venezuela. What dou you think about Eizo monitors? Like CG275W or CG245W? They´re at same price range that the Dream Color. In my work, I use a Dream Color everyday and it has a very nice performance, but I´m looking for more options. I’m afraid I’ve never spent any amount of time in front of an Eizo display, so I have no useful opinion. I’ve seen them around in shops that do a lot of graphics, so I know they have adherents, and I suspect if you’re grading for the web, they’re just fine. However, I couldn’t speak as to their ability to display Rec. 709. If you’re doing colour correcting for the web and not broadcast, what do you recommend? I would be hooking it up to my macbook pro via thunderbolt. Hi, Just wondering if you have any opinion on the Flanders CM-170W monitor. I’m building a compact system with two NVIDIA 675 cards & running Resolve 9 for Win 7. Seems the CM-170W is similar to the LM-2461W in that it has HD-SDI built in. What connection to my unit will be necessary with this monitor? I’m told (by folks at Flanders) that the CM-170W is just as color-critical as their LM-2461W, so it should do you just fine. That said, I can say from my own experience that working on a smaller display makes it harder to evaluate the more textural aspects of an image, such as noise, but that’s a general note applicable to any smaller display. However, if you need a compact setup, then that trumps other considerations. A. “panel is 10-bit” – If using a 10-bit panel, you still need a DisplayPort coming into it, and you need also need a 10-bit capable video card before that… like a Quadro. The Nvidia GTX gaming cards are outputting 8-bit color not 10-bit color like most workstation cards do. B. HP DreamColor Monitor – I believe these are being discontinued. I would go with an Eizo over an HP DreamColor anyway. If you really want to properly evaluate one panel against another, you need to find out the panel part number in order to tell if the panel is a true 8-bit, simulated 8-bit, true 10-bit, or a simulated 10-bit. True vs. simulated makes a difference. TFT Central is a great place that can help you figure out the panel part number. C. The Eizo CG276 does Rec 709, it’s a 10-bit panel, and you can get one at B&H for around $2,609. Obviously a Flanders is going to have more input/output options than an Eizo, but an Eizo would be an awesome start for getting into color correction. If budget allows, you could add in a $5K Flanders later. Good notes all. This article is getting pretty long in the tooth at this point. When I wrote it, the Dreamcolor monitor was pretty new, and yes, you need to run a very specific signal to it to get 10-bit. I’m really surprised it’s been so long since an update, though, and I wouldn’t be surprised to see it become discontinued (though that would be too bad). HP seems to have a few issues as a company these days. I’ll have to check out the Eizo, sounds like an interesting choice, but honestly for grading at this point, I think the latest generation Flanders monitors are the least hassle and best bet for a relatively inexpensive video workflow where you’re needing to monitor HD-SDI output. Of course, if you can afford a Dolby monitor, that’s a display pretty much everyone can agree on, but for affordable bang for the buck, the Flanders is a quality, flexible display, and they just announced compatibility with Light Illusion’s Lightspace CMS, which is pretty nice to have. Everyone needs to keep in mind that a 24-inch HD display used to run upwards of $20K when you needed to buy a Sony CRT. For its various limitations, the Flanders has a reasonably wide viewing radius, and a clean signal path. I only wish they made a 32 or 42 inch display, but then that wouldn’t be quite so cheap. I still keep my eye on Sony’s OLED displays, particularly their cheaper PVM display. It’s gorgeous, but it’s got a really narrow viewing radius, which is not ideal if you’re going to be sitting with some clients. If you’re just grading for the web, I would use the highest quality CPU display you care to have, and I’d be sure to calibrate it to the sRGB standard using one of XRite’s higher-quality calibration devices (such as the i1 Display Pro, which I use). 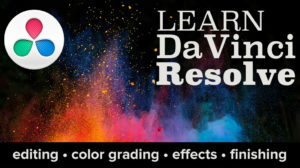 If you’re using DaVinci Resolve, the image you see in the Viewer is the calibrated image, and what your audience will see if they care enough to calibrate their computer monitor. However, many don’t, so be prepared for plenty of variation in your audience’s viewing experience. I know this is an older article, but hopefully you will still see this. After seeing it recommended by many as an inexpensive solution, I’m seriously considering buying a Panasonic plasma for color grading. Not as a client monitor, but as a reference monitor. I also read newer articles from you where you still considered a plasma as a valid budget option. Is it still so in your opinion? The only thing that worries me is ABL. Everybody comments on the ABL problem. I have read all over the web and also in some of your posts that there are or were several pro houses using plasmas as reference monitors. So I wonder how bad the ABL problem really is and how they get around it? Flanders is nice but it’s above my budget. So it’s either a plasma or a computer monitor such as an Eizo, Nec or Dell. Since the plasma is at least a real video monitor, has great blacks, wide viewing angle and large sizes I thought the plasma would be better. Plasmas also seem to be easier to calibrate. Some even say you can get away pretty well with just setting it to THX mode. By the way, I have your book. Great stuff. Has helped a lot. Thanks, Adam, I really appreciate it. This is a long topic, and I’m about to post a blog article about it, but in summary; yes, ABL is worrisome and a problem if you do motion-graphics heavy stuff. BUT, if you’re working on primarily live action material, I’ve not found it to be a noticeable problem (nor have many other post houses who continue to use plasma), and I’ve never had a client bounce a program back to me; my benchmark for whether a monitor is really working out. The proviso, of course, is that this is only true if you’re calibrating that display, and the software and hardware to do truly accurate calibration of that inexpensive plasma will cost more then the display itself. When you factor that in, Flanders isn’t so very expensive. For calibration I have read several times that Panasonic’s THX mode, specially on modern sets will get you pretty close to a real calibration REC.709. Do you find this to be accurate? I’m not sure it they really mean the THX mode or using one of the THX discs for a manual calibration though. My experience, having compared the stock THX setting to an automated calibration, is that the TXH setting is indeed in the ballpark, and close enough for the consumer to provide a nice viewing experience. BUT, the devil is in the details, and were some clear and noticeable deviations in the gamma tracking that calibration fixed. This is also exacerbated by the fact that plasma sets drift over time, which exaggerates these deviations as time goes on. When grading, these sorts of subtleties can be important (indeed, the more capable a colorist you are and the more discerning your client, these subtleties can be huge), so I can’t in good conscience recommend the use of an uncalibrated THX setting for color-critical client work. And sadly, manual calibrations are not anywhere near good enough. Thanks for the very quick reply Alexis. Truly appreciated! If not abusing already, can I ask a last question on the matter? Thing is, I’m naturally going for a plasma for budget reason. So I can not spring for something like LightSpace or any LUT boxes. Is there a way to calibrate a plasma on a budget? Couldn’t find anybody around here who could come over to calibrate. So need to find a way to do it myself. Since we are talking, I have a question about the book. If you already have the first edition. Should you also buy vol.1 of the second edition or just vol.2? P.S. I’m also getting your Ripple Training Resolve 10 as soon as I can clear sometime on my schedule to go through it. Can’t wait. V10 looks great. a) There’s no cheap way to calibrate plasma well. Hiring someone is your best bet, so I’d keep looking. Calibrators often travel. c) The Resolve 10 training turned out well. Also, I just recorded a freebie covering the latest new features in 10.1 which should hit in a week. Around here is no chance to find a calibrator. Small town. Maybe a Home Theater calibrator if that would be any good?? Otherwise need to look at next big town, but that’s 145 miles away. So probably wont be very affordable. I’m in Europe by the way. Things are a bit different here. In the U.S. such things are more readily available. Ok, I will just get both books then. If it manages to improve on the already great first edition it will be a worthy investment.